This is evidence of the righteous judgment of God, that you may be considered worthy of the kingdom of God, for which you are also suffering (v. 5). When difficulty comes into our lives (especially when difficulty comes because we’re Christians), there is the temptation to give up. In the Parable of the Sower, Jesus said that some people are like seeds that are cast on rocky ground. They “receive [the gospel] with joy” (Mark 4:16). But “then, when tribulation or persecution arises on account of the word, immediately they fall away” (v. 17). In order to remain steadfast and faithful when we are afflicted for being a Christian, we must remember three truths. 1. Affliction can reveal the genuineness of our faith. 2. Affliction will not go unpunished. 3. Affliction will not last forever. Paul writes that God will “grant relief to you who are afflicted as well as to us” (v. 7). The affliction that Christians are enduring now is temporary. There is hope for every afflicted Christian. There is a better day coming (“when he comes on that day to be glorified in his saints, and to be marveled at among all who have believed, because our testimony to you was believed,” v. 10). There is hope for the afflicted Christian. We have this hope because Christ was afflicted on the cross. He suffered in our place. We don’t give up because he didn’t give up. And not only do we look back at what Christ has done for us. We also look forward to what Christ will do for us. Paul’s desire for the Thessalonians is that Christ would “be glorified in [them]” (v. 12). We have reason to glorify Christ in every situation—even in the midst of affliction. Much of what Paul writes in 1:5-12 can be applied to any type of affliction. You must pay money to obtain entry to a professional football game. In order to enter the stadium, however, you must present a ticket at the gate. Is it the money that provides access to the game or the ticket? Both! But are the money and the ticket equal “causes” that get you in? Ultimately, the money paid is what really gets you in, but you must have the ticket as evidence that you really paid the price for the game. Likewise, true Christians are those on behalf of whom Christ has paid the penalty of sin, but they must have the badge of good works as evidence that Christ paid their purchase price in order to be considered worthy of passing through final judgment and entering the kingdom. Therefore, both faith in Christ’s work and human good works are absolutely necessary for being considered worthy of salvation, but the former is the ultimate cause of the latter. At the last judgment people will not be able to say that they have benefited from Christ’s redemptive work only because they have believed; they will have to show evidence of their belief through their good works (Mt 7:21). We must keep in mind that God doesn’t enjoy punishing the unsaved. The cross proves to us that God delights in saving people (illustrated in the Parable of the Prodigal Son, Luke 15:11-32). We ought always to give thanks to God for you, brothers, as is right, because your faith is growing abundantly, and the love of every one of you for one another is increasing (v. 3). The church in Thessalonica began as a result of Paul’s preaching of the gospel (1 Thess. 1:4) during his second missionary journey (Acts 17:1-9). The Thessalonians had “turned to God from idols to serve the living and true God” (1 Thess. 1:9). 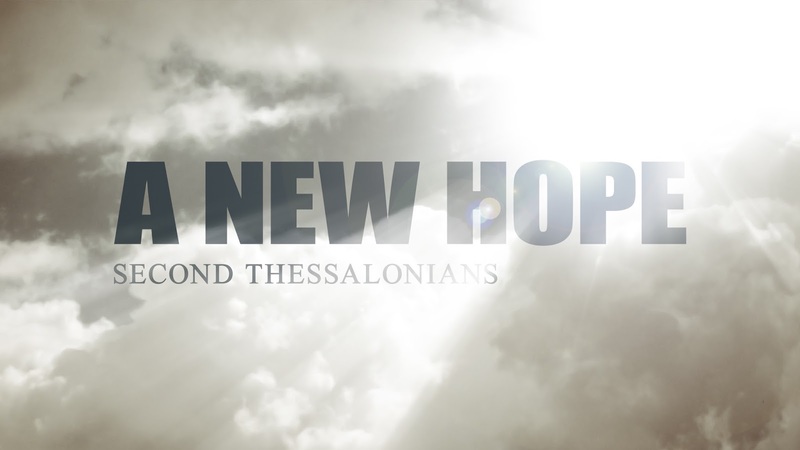 They possessed a new hope—a hope that would be fulfilled at the second coming of Jesus. What is real Christianity? How are Christians supposed to live? There are lots of people who call themselves Christians but don’t act differently than anyone else. The Christian life begins when we accept the gospel. When we put our trust in Jesus, the Holy Spirit comes to live within us. And he gives us a new heart—a heart that desires to please God. And God is pleased when we live out real Christianity. In verse 3, Paul points out two qualities of the Thessalonians that show that they are living out real Christianity. First, they have a growing faith: “your faith is growing abundantly.” Second, they have a growing love: “the love of every one of you for one another is increasing.” Real Christianity is having a growing faith in God and a growing love for others. This is not how we become Christians; this is how we live as Christians. We are to have the kind of faith and love that affects how we live. 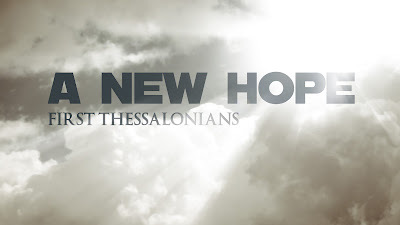 How did Paul know that the faith of the Thessalonians was growing? Faith in God affects more than just our thoughts (which can’t be observed). It also affects our actions. “By grace [we] have been saved through faith” (Eph. 2:8). Our salvation is “not a result of works” (v. 9). But we have also been saved “for good works” (v. 10). “What good is it, my brothers, if someone says he has faith but does not have works? Can that faith save him?” (James 2:14). “Be doers of the word, and not hearers only, deceiving yourselves” (James 1:22). Have you ever thought, “It would be a lot easier to live as a Christian if I didn’t have to interact with anyone.” But Christianity is not meant to be lived in isolation. The love that Paul refers to here is a love for other Christians (“for one another”). Notice the phrase “our Father” in verse 2. God is not only my Father; he is our Father (cf. Matt. 6:9, “Our Father in heaven”). In his first letter to the Thessalonians, Paul mentioned that he gave thanks to God for their “work of faith and labor of love” (1:3). We are to have a faith that works and a love that acts. It’s important to know that the Thessalonians were facing persecution for being followers of Christ: “Therefore we ourselves boast about you in the churches of God for your steadfastness and faith in all your persecutions and in the afflictions that you are enduring” (v. 4). It’s more difficult to have faith and love when we’re going through a difficult time. How did the Thessalonians do it? During the 1992 U.S. Presidential Election, Bill Clinton faced a difficult challenge. According to Wikipedia, “In March 1991, days after the ground invasion of Iraq, 90% of polled Americans approved of President Bush’s job performance.” So how did Clinton end up defeating Bush? A recession hit the U.S., which led to Americans identifying the economy as their nation’s biggest problem. Clinton’s lead strategist James Carville coined the phrase “It’s the economy, stupid!” to remind Clinton to focus on economic issues. He did, and the rest is history. I won’t use the word “stupid,” but for us, it’s the gospel. In other words, we must continually focus our minds on the gospel. If we do, it’s more likely that we will have faith in God and love for others. The apostle John writes, “By this we know love, that [Christ] laid down his life for us, and we ought to lay down our lives for the brothers” (1 John 3:16). Our Christianity has to be more than just talk. “If anyone has the world’s goods and sees his brother in need, yet closes his heart against him, how does God’s love abide in him? Little children, let us not love in word or talk but in deed and in truth” (vv. 17-18). In the apostle John’s vision of the new heaven and earth, he is told, “The former things have passed away” (Rev. 21:4). The “former things” include “crying,” “pain,” and “death.” Then God announces, “Behold, I am making all things new” (v. 5). Silvanus and Timothy are also mentioned as senders of the letter. They had been coworkers with Paul during his second missionary journey when the Thessalonian church was planted. The previous letter (“our letter”) mentioned in 2:15 could be First Thessalonians. The second coming is mentioned in every chapter of 1 Thessalonians (1:10; 2:19; 3:13; 4:13-18; 5:1-11, 23). The faith and love of the Thessalonians is praiseworthy (“we ourselves boast about you in the churches of God,” v. 4). But Paul thanks God for their faith and love (“We ought always to give thanks to God for you, brothers, as is right,” v. 3) because it was God who was ultimately responsible for their growing faith and love. “Lord, now you are letting your servant depart in peace, according to your word; for my eyes have seen your salvation” (vv. 29-30). Mary proudly holds her newborn baby boy as she and her husband Joseph enter the temple court in Jerusalem. Forty days ago, she had given birth to her firstborn son. Today, they have made the short trip from Bethlehem to dedicate Jesus to the Lord. As Mary and Joseph make their way through the crowd, an elderly man spots them. His name is Simeon. God has revealed to Simeon that he will not die until he sees the Messiah. That day has come. Simeon takes her baby in his arms and praises God, saying, “Sovereign Lord, as you have promised, you now dismiss your servant in peace. For my eyes have seen your salvation” (vv. 29-30). 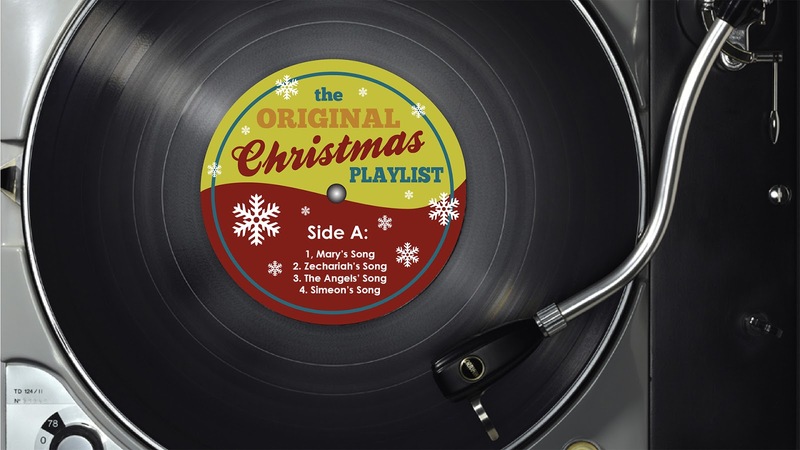 The old man’s words amaze Mary and Joseph. But Simeon isn’t finished. He looks at the boy’s mother and says, “This child is destined to cause many in Israel to fall, but he will be a joy to many others. He has been sent as a sign from God, but many will oppose him. As a result, the deepest thoughts of many hearts will be revealed” (vv. 34-35a). Then Simeon says something that Mary will never forget. “And a sword will pierce your very heart” (v. 35b). Let’s fast forward about 33 years. Now Mary understands Simeon’s prophecy. The little baby that she had once held in her arms is hanging on a cross. And her heart is pierced. She remembers kissing her boy’s forehead as she put him to bed. Now that forehead is marred by a crown of thorns. She remembers guiding his tiny hands and feet as he learned to walk. Now those hands and feet are nailed to a cross. She remembers rubbing his back to console her crying son. Now that back is bloodied and beaten. Jesus replied, “Did you not know that I must be about My Father’s business?” Mary didn’t understand what he meant. But as the years passed by, she began to realize that Jesus’ life would be shaped more by God’s will than her dreams. Now as Mary stands beside her son’s cross, she wonders if Jesus is now finishing the final task of his Father’s business. But still, her heart is pierced. When Simeon looked at baby Jesus, he said to God, “My eyes have seen your salvation” (v. 30). Salvation from God would come to us through the death of Jesus. Mary didn’t know what would happen to Jesus, but God the Father did. It’s one thing to watch your son die (as Mary did); it’s another thing to sacrifice your son (as the Father did). In this we see the love of God for us. There is no greater gift that the gift of Jesus. There is no greater love than God’s love. But Jesus wasn't forced to die. He chose to give up his life for us.